Burnley’s youth team have beaten Wrexham 2-0 this afternoon to join Blackpool at the top of the league with 53 points and that’s seven successive wins for us since a home 3-3 draw against Wigan. It’s been an incredible run with no fewer than 21 goals scored which has included seven goals from Tommy Wood (pictured) and six from Nashé Chakwana, and it was Chakwana who gave us the lead this afternoon, scoring from the penalty spot with just over ten minutes of the game gone. That lead was doubled midway through the first half when Dwight McNeil fired home a free kick from 25 yards which ended the scoring. 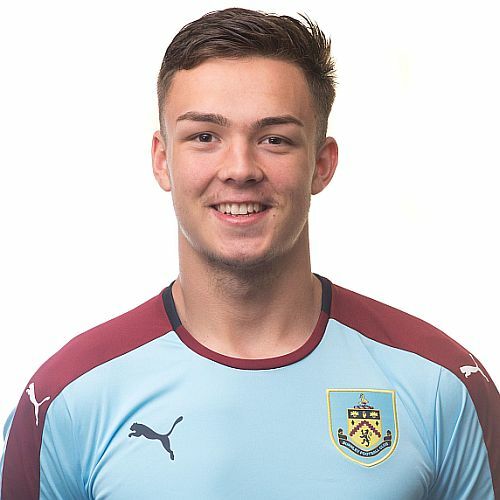 Burnley were again without long term injury victims James Clarke and Tristan Jumeau while both Oliver Younger and Harry Limb were missing from today’s line up. Under-16s Dan Moss and Kian Yari started with three more of next season’s intake – Dylon Meredith, Ethan Kershaw and Akim Samms on the bench. Besides having won the last seven, the team has enjoyed a remarkable run since losing at Walsall on 1st October. Since then we’ve won 14, drawn 3 and lost just once, and that the unfortunate defeat at Blackpool where a draw would have now seen us go top. The Burnley today team was: Connor King, Leighton Egan, Scott Wilson, Dan Moss, Kwasinkosi Mpofu, Olatunde Bayode, Tyler Shrimpton, Kian Yari, Dwight McNeil, Nashé Chakwana, Tommy Wood (Jordan Cropper 84). Subs not used: Marcel Wusiewicz, Dylon Meredith, Ethan Kershaw, Akim Samms.